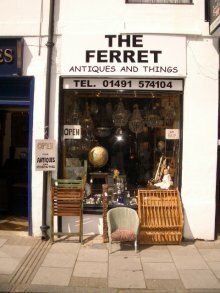 The Ferret has been in Henley since 1999 selling a wide range of items that are useful and interesting. We have a varied stock that is forever changing. The Ferret is the ideal place for your christening, wedding and birthday gifts. Whenever you visit there,ll be something different and unusual for you to find.